What does Chemo Feel Like? Cancer cells grow and divide quickly, resulting in tumors. 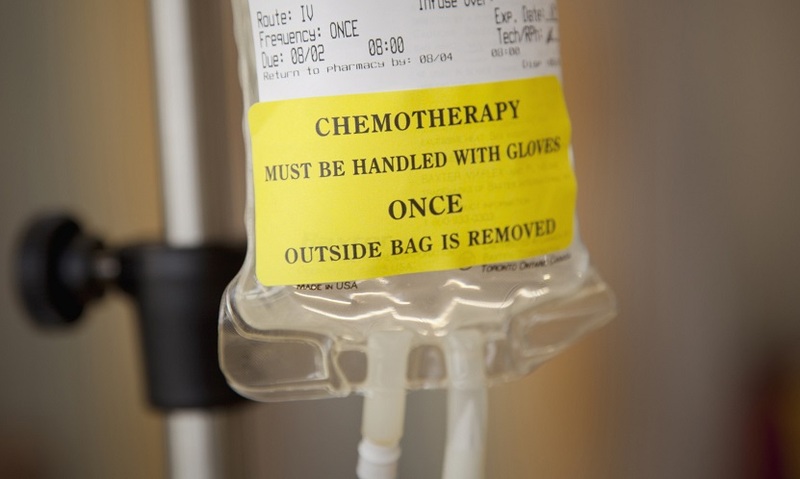 Chemotherapy, known as chemo, is a class of medicines used to kill cancer cells. Unfortunately, chemo can also harm normal cells, such as those in the mouth, hair, and gastrointestinal tract, which causes side effects. These side effects usually stop once the treatment has ended. Everyone has different side effects from chemo treatment. Each person’s side effects depend on multiple factors including the type and dose of chemotherapy, the type and stage of cancer, and the patient's health condition before the treatment began. Your stomach may feel weird and you may feel like throwing up shortly after chemo begins. The nausea and vomiting may last only several hours to several days. Ask your cancer doctor if your medicine is likely to cause this problem and if anything can be done. Your doctor may prescribe a medication to help settle your upset stomach. Take it as instructed, and alert your doctor if the medicine does not help. If vomiting lasts over 1 day or if you have difficulty keeping liquids down, call your doctor immediately as this could result in dehydration which can be dangerous. 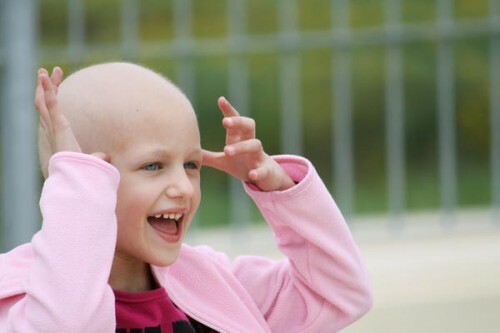 Loss of hair is a common side effect of chemotherapy medicines. Your hair on head, face, arms, etc. may fall out. The process can be either slow or quick depending on the type of chemo you receive. Some type of chemo may just thin your hair. You can ask your doctor about what to expect. But don't worry, your hair will grow back, but a bit differently, once chemo stops. What does chemo feel like? Your skin may feel itching, dry, flaky or hot. Acne may break out. Rarely, patients have allergic reactions, resulting in symptoms such as hives and breathing difficulty. Because of this, chemotherapy is usually given in the doctor's office. Undergoing chemotherapy has a very big impact on your life and can make it hard to live a normal life. It can put a strain on your relationships with families and friends. It can be very scary and sad. Fortunately, there are many healthy ways to cope with these feelings. There are many support groups. Ask your doctor or nurse for suggestions. Drink approximately 8-10 glasses of fluid per day. Take a medication to soften the stools, such as docusate sodium (Colace). If you are feeling up to it, get some physical activity every day. Eat foods high in fiber, including fruits, vegetables and grains such as bran. What does chemo feel like? Chemo often makes patients feel very tired. Most people undergoing chemotherapy need to slow down their work and home responsibilities somewhat. You may need some extra help and more rest than normal. Once you finish your chemotherapy, your energy should improve. In addition to cancer cells, chemotherapy medications also act on white blood cells, which serve to ward off infections throughout the body. They are decreased by chemo. Your white blood cell count drops the lowest about 7-12 days after every chemo, so that is when you are most likely to get an infection. The two main types of infections are from bacteria and viruses. Most infections that result from bacteria occur when your body is overwhelmed by normal bacteria. Viruses can cause infections such as cold, flu, or stomach bug. Viruses are very easily passed to you from other people. It is very important to avoid being around anyone who is sick while you are being treated with chemo. You should also wash your hands frequently. Chemo can result in a decrease in your appetite. It can also cause funny tastes in your mouth, and a stronger reaction to everyday smells. Your appetite will improve as you start to feel better. Chemo often causes sores in the mouth and throat. This can cause pain when you swallow or chew. You should call your cancer doctor if you develop these symptoms. They can prescribe a special rinse for your mouth to help you feel better. What does chemo feel like? It could be painful. Chemotherapy can result in damage to your small nerves called neuropathy. Neuropathy can cause pain, tingling, and clumsiness in your hands or feet. Unfortunately, neuropathy does not always go away once chemo ends. Your doctor may need to stop or change your chemo medicine if you develop neuropathy. Some doctors may ask you to take certain medications to prevent neuropathy. Chemo can change your body’s hormones which can decrease your sexual desire. This side effect should go away once you are done with your chemotherapy. Everyone feels differently on chemo. It's a long process, but as long as you are optimistic and keep hope, everything will be better. “I had experimental chemotherapy 43 years ago, once a month for 5 days at a time. The first day was never that bad. Then, I would have an upset stomach for the next few days and would go to bed with a vomit bucket. I would throw up once an hour. After a while, there was nothing to bring up anymore so it was just dry heaving. All that vomiting and heaving wore me out so much; I would just fall back asleep until I had to vomit again." Why Do Cancer Patients Lose Weight?